Melanie Dawes acknowledged there are “really serious, short-term pressures on the local government system” and urged the sector to provide her with the evidence so that she can better make the case to other government departments that they should ensure councils are placed on a sustainable footing. Speaking at the Society of Local Authority Chief Executives & Senior Managers summit yesterday, Ms Dawes also reiterated the government’s plan to focus on funding councils through a greater share of business rates retention. 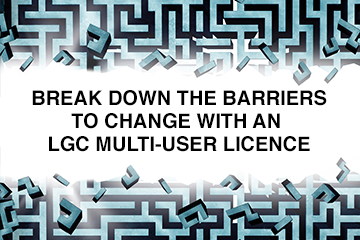 LGC reported how Solace president Jo Miller on Wednesday lambasted the government for its lack of financial forward-planning. “The comments that Jo Miller was making yesterday we do absolutely understand those arguments,” she said. Funding councils through a greater share of business rates retention will continue to be a major theme though. Ms Dawes said: “Despite what is reported in the press, business rates remains a very stable source of revenue compared to other parts of the economy. But clearly as the economy changes and more move online and companies move offshore then that’s a real issue for the Treasury. Ms Dawes said Brexit is a “really big, dominating issue” in central government at the moment but added the Budget will also be a major event in the next few weeks. “Do watch the Budget… but the big decisions for local government will be next year [in the comprehensive spending review] and that’s what our focus is on,” she said. Ms Dawes struck a conciliatory tone throughout and said ensuring public services are sustainable was “important” to her. While redistribution through the fair funding review will come into it, she said there was also ”something about the amount of money” available to councils overall. She praised the National Audit Office for the way it has “very clearly” set out the situation with its analysis of the sector’s financial situation. The permanent secretary urged council chiefs to provide her with more evidence so she can make a better case in Whitehall for putting the sector on a more sustainable financial footing. “Please do help us to make that analysis as strong and compelling as we can,” she said. She later added: “Don’t short-change yourself and think the solution to funding social care is to take some of the £20bn… I don’t think that’s the funding solution. As the financial situation “gets tighter” solutions may lie in internal structural reform, digital transformation, closer working between councils or “dare I say, unitaries where that is supported locally”, said Ms Dawes. Yesterday the Chartered Institute of Public Finance & Accountancy warned councils not to expose public funds to “unnecessary or unquantified risk” when borrowing to invest in commercial property. Meanwhile, Ms Dawes was asked if introducing a tourism tax in England was on the agenda. She questioned its impact on the economy in general and how any income raised might be redistributed. Property investments are a cause for concern at just “two or three councils”, a senior Ministry of Housing, Communities & Local Government official has said. The Ministry of Housing, Communities and Local Government is Whitehall’s second worst performer for staff retention, disrupting policy development and delivery of projects, a new report from the Institute for Government has found. . The big Budget announcements for local government may have already been made. Chancellor Philip Hammond will deliver the Budget this afternoon. Follow LGC’s live blog for all of the latest announcements, rumours and reaction relating to local government. Confidence among leaders and chief executives that their councils have the capacity to deliver adult and children’s social care has plummeted, according to research. The date of when details of the local government finance settlement for 2019-20 will be published has been unveiled.